It is based on the radical idea that the natural state of the mind is not scattered, nervous, and confused, but rather calm, creative, and clear. Practicing regularly provides a way to settle into this natural state more often. At the Shambhala Meditation Center of Philadelphia, we begin by training in Shamatha/Vispasana or Mindfulness/Awareness meditation. This foundational technique allows you to tune into the present moment, at home, at work, or wherever you go in your day to day life. The “Welcome to Shambhala” monthly event is designed to introduce newcomers to the Shambhala Center. When you arrive, you can get a short introduction to meditation, sit with the group, and stay for a discussion group and refeshments. Each month alternating either on a weeknight or a Saturday. An ideal way to bring the simple yet profound and powerful practice of meditation into your everyday life. This is the first course in our core program, the Way of Shambhala which provides a strong foundation in mindfulness-awareness meditation. This series is designed to be applied to the complexity of our daily lives and to develop courage and sanity in these troubled times of uncertainty. The beginning of the Way of Shambhala path is a series of weekend retreats and companion classes that are an effective way for students of any tradition to learn to meditate. 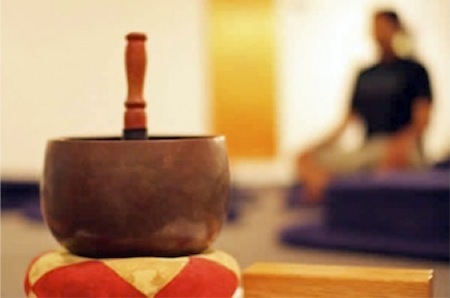 Philadelphia Shambhala Meditation Center has many community groups for beginners to experienced meditators. We offer many different ways to practice together, build community and celebrate together such as Bodhi School, Monday Night Sangha, Sit n’ Stitch, Working with Addictions and more. Learn more about Ongoing Offerings and other Introductory Programs where meditation instruction is also included.